Pyongyang, March 5 (KCNA) -- Kim Jong Un, chairman of the Workers' Party of Korea and chairman of the State Affairs Commission of the Democratic People's Republic of Korea, arrived at home on Tuesday after successfully wrapping up his official goodwill visit to the Socialist Republic of Vietnam. 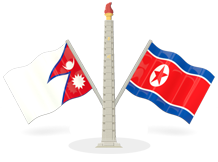 Seen to greet Supreme Leader Kim Jong Un at Pyongyang Railway Station were Kim Yong Nam, Choe Ryong Hae and Pak Pong Ju, Presidium members of the Political Bureau of the WPK Central Committee, and other senior officials of the Party, government and armed forces organs. Also seen there were staff members of the Vietnamese embassy here. At 3 o'clock in the early morning, his train entered the railway station yard. 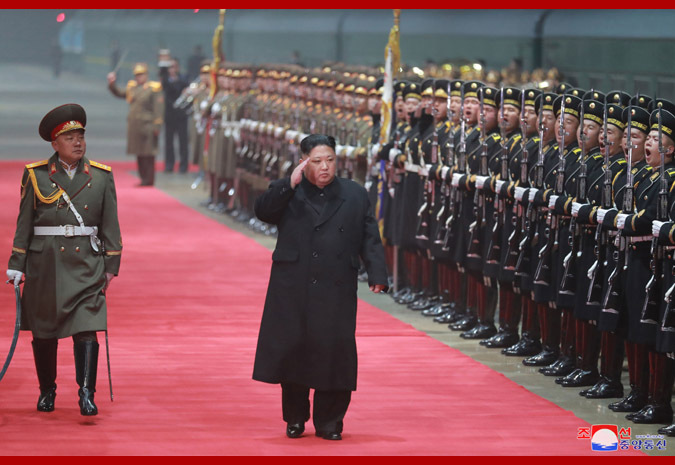 When he got off the train, he received a salute from the head of the guards of honor of the Korean People's Army. A ceremony for greeting him took place at the station. He was presented with bunches of flowers by a boy and girl. Senior officials of the Party, government and armed forces organs greeted him with their ardent congratulations. He exchanged greetings shaking hands with them. Acknowledging the enthusiastically cheering masses, he extended warm greetings to all the beloved people.